Today, US Secretary of State Mike Pompeo will visit Cucuta, Colombia. Over the next few days, Pompeo will also visit Chile, Paraguay and Peru. Situated on the Venezuelan border, Cucuta is the main cross-over for refugees fleeing Venezuela. As much as four million Venezuelan refugees are expected in Colombia by 2021 if the crisis continues. The UN estimates that around a quarter of Venezuelans lack basic food and medicine. Following the US’s pledge this week to donate another $60 million towards humanitarian supplies for Venezuelans, Pompeo’s trip will focus on addressing the refugees’ needs in Cucuta. Colombia, Chile, Paraguay and Peru already recognise Juan Guaido as Venezuela’s interim president. 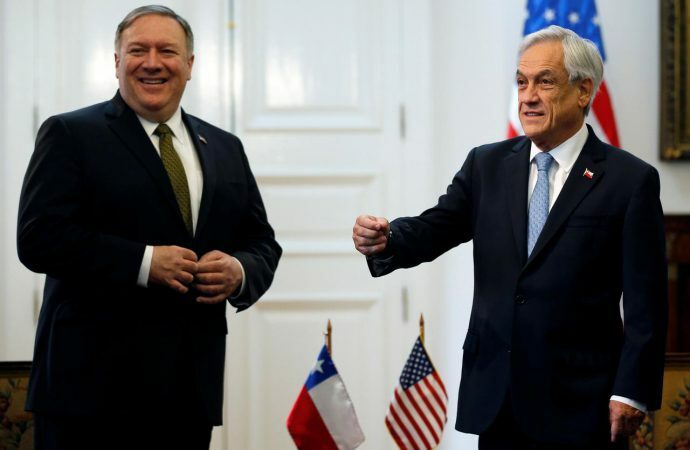 Following on from Russia’s recent dispatch of military planes in Venezuela, Pompeo encouraged South American countries to reject aid and investment from Russia and China in favour of US assistance. Expect Pompeo’s trip to focus on strengthening a coalition of South American nations against Venezuelan President Nicolas Maduro in order to finally oust him from power. Expect the US to continue efforts to force Russia to leave Venezuela as the two countries compete for dominance in the region.